Helena P. Blavatsky (1831-1891) is widely celebrated as the leading esoteric thinker of the nineteenth century who influenced an entire generation of artists and intellectuals and introduced Eastern spirituality to the West. Until now, however, readers have been able to know this fascinating woman only through her public writings. Few may have realized that H.P.B. was also a tireless correspondent with family and colleagues, friends and foes, the learned and the simple. Her personal correspondence reveals for the first time the private H.P.B. in all of her sphinx-like complexity rarely visible in her published material. This unparalleled offering contains all known letters H.P.B. wrote between 1860 and the time just before she left for India in 1879. 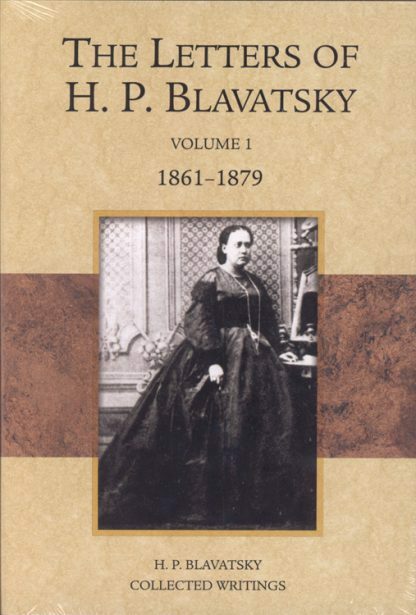 Meticulously edited by John Algeo, former President of the Theosophical Society in America and current Vice President of the international Society, the volume also contains letters to and about Blavatsky, articles, and editorial commentary.